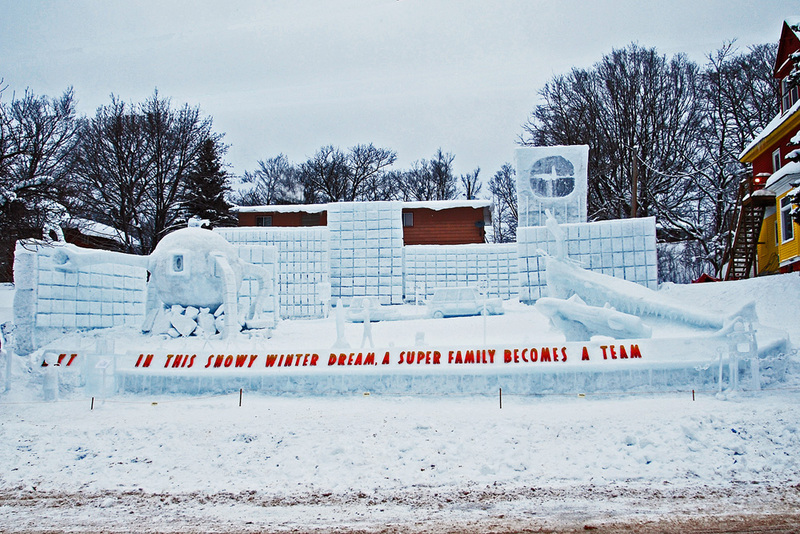 February 4-10 is Michigan Technological University’s (MTU) Annual Winter Carnival Week, of which, the World Famous Snow Statue building competition is a major part. UPDATE **** PHI KAPPA TAU DOES IT AGAIN -- FIRST PLACE FINISH!! 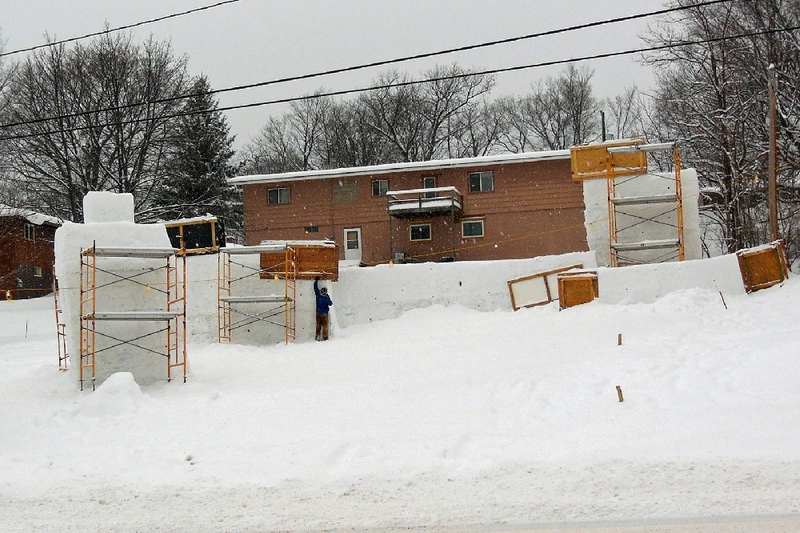 Perennial winner in recent years, Hancock’s Phi Kappa Tau Fraternity gets their entry started for this year following the Holiday break. 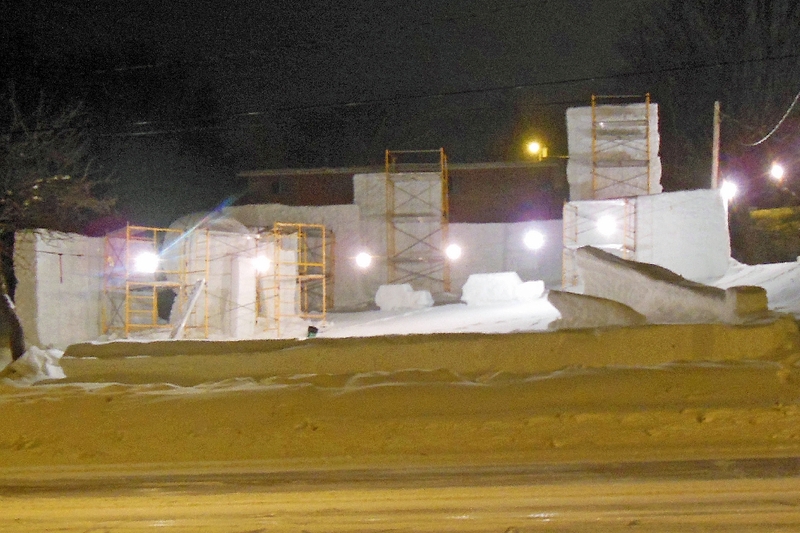 This night time photo, the last week in January, shows construction now well under way, with some 40+” of snow the last two weeks of the month. And the finished statue, judging morning, February 7th. Entitled “IS THIS SOME DREAM - A SUPER FAMILY BECOMES A TEAM.” And they did it -- another First Place Finish! !